Are you going to grow some water plants in your fish tank? To be honest, I think it is a great idea to have some real water plants in a fish aquarium. Because on the one hand, real water plants are vivid and natural decorations; on the other hand, grow real water plants can consume some of the fish waste. Apart from the regular trim and clean of the water plants, lighting is also another factor you should care about. Here are several types of lighting serve aquariums with life plants. 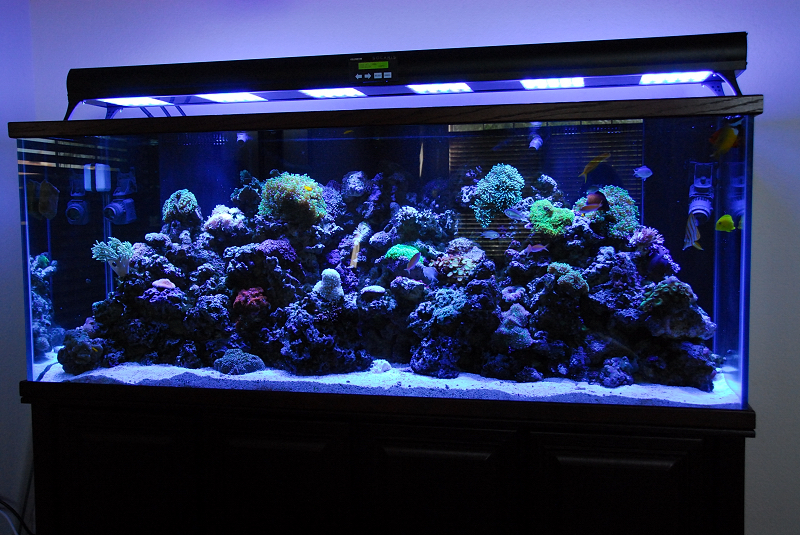 You can refer to the lighting and determine the right setup to your fish tank. 1. 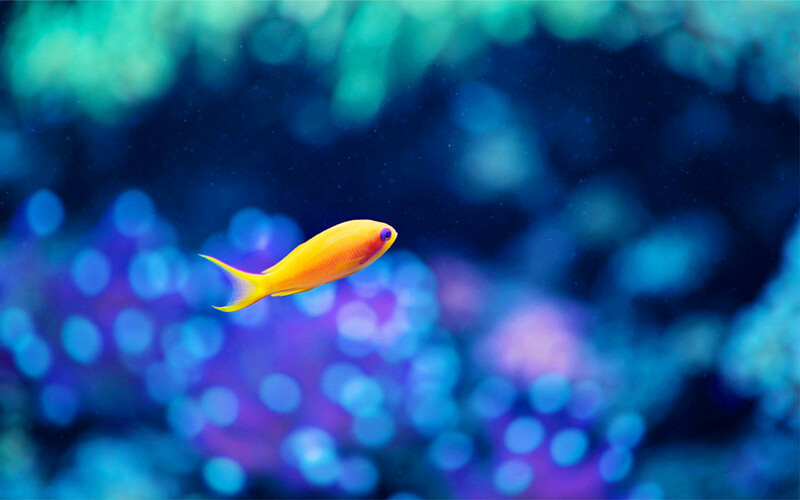 Standard fluorescent lighting: These are the basic lights found on most aquariums. They have low cost going for tanks while many other types of lighting kick out more powerful light. Typically, people would like to 1.5 watts to 5.0 watts of lighting power per gallon of aquarium capacity to light a planted tank. 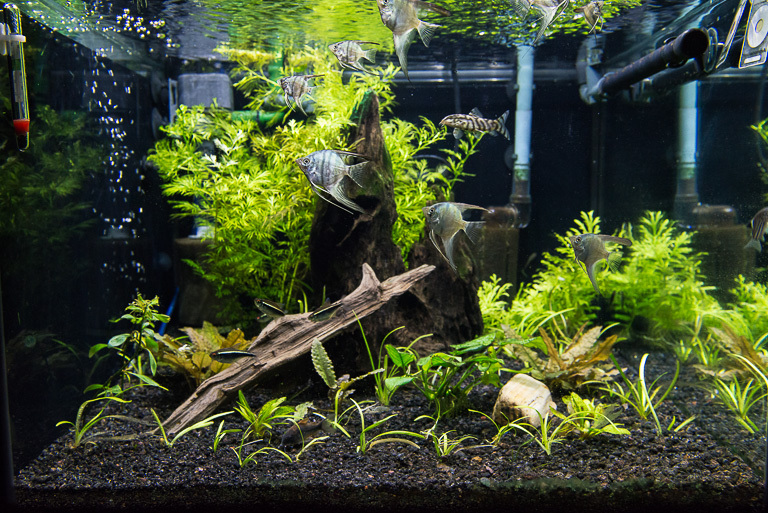 With standard aquarium fluorescent, you should probably lean toward the high end of this range to ensure that your plants get sufficient light to thrive. 2. Advanced fluorescent lighting: They may be a better option for most aquarium plants since they produce more powerful light than more closely resembles the sun’s rays. However, advanced fluorescent lights cost more money and power than the standard ones. 3. Metal halides: they can produce stronger light than advanced fluorescent tubes. Besides, metal halide lights penetrate water very well, making them ideal for deep aquariums as light attenuates in water. But metal halide lights are easy to get hot. 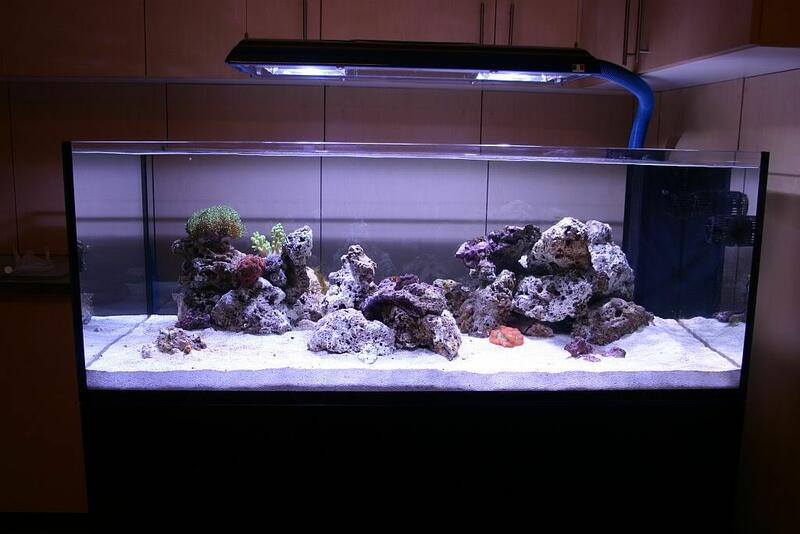 You may have to set them up with cooling fans to keep the aquarium from overheating. 4. 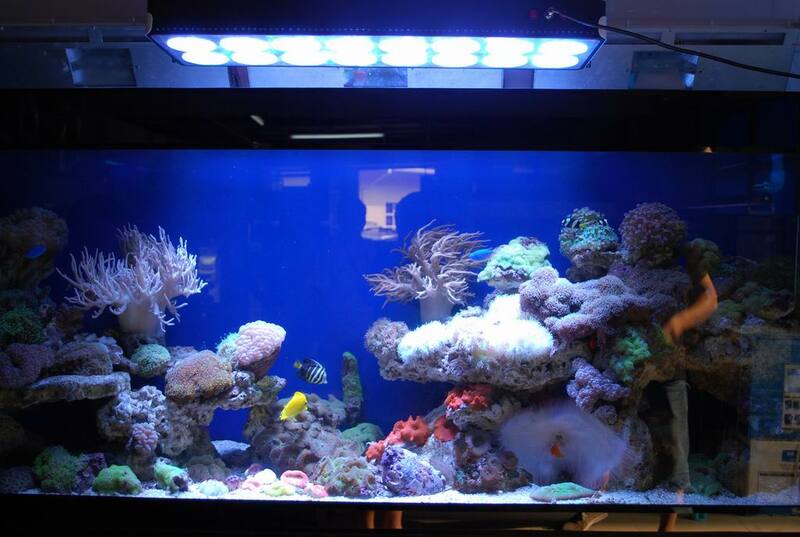 LED aquarium lighting: the latest innovation in aquarium lighting, these lights cost is becoming lower and lower as the technology matures. 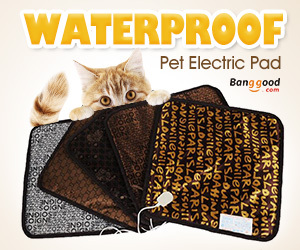 Meanwhile, they are eco-friendly products which cost much less to run than other types of aquarium lighting. For instance, standard and advanced fluorescent lights, and metal halides need to be replaced yearly to maintain their output while LED arrays can run for at least 10 years without replacement. 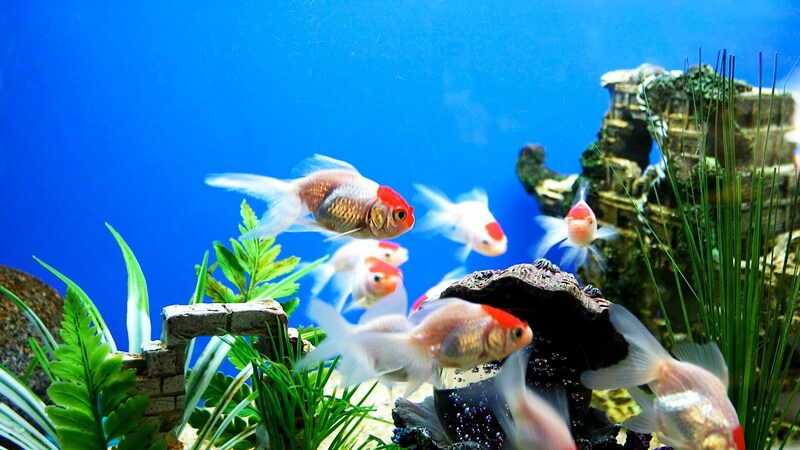 Hence, according to your fish tank size and type and your budget, you can choose the best one for your planted aquarium. 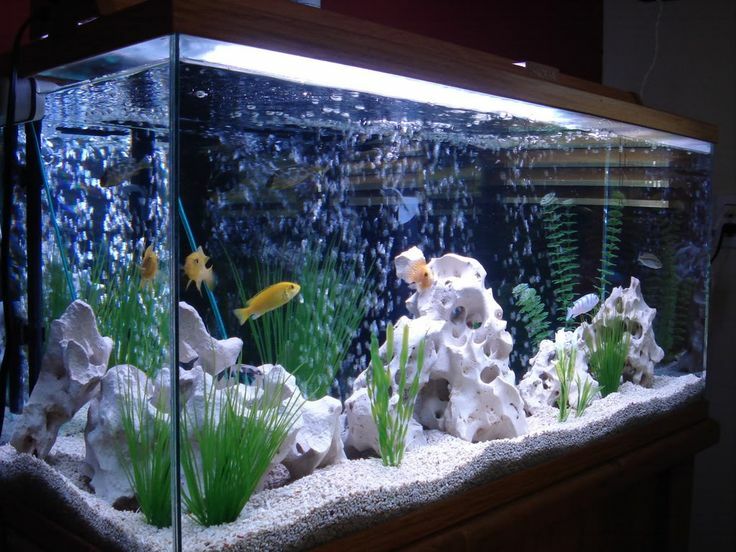 Once you install the lighting, they will brighten your fish home and also become the focal point of your place.